Previously, we talked about the importance of improving your credit rating as one of five easy ways to improve your long-term finances. Then, we touched briefly on why your credit rating is important; now, we are going to go more in-depth on the importance of your credit rating, the impact it can have on your life, and how to go about improving or repairing it. Your credit rating is the mark of how trustworthy you are to lenders, such as banks, mortgage companies, credit card companies, and car dealerships. Credit ratings range from poor to excellent, and often have a numeric value between 200 and 750, where the higher number indicates a better score. · Your payment history: making all of your monthly payments on time, or paying off your balance each month, will give you a higher score. Conversely, missing or late payments will give you a bad score. · The amount of credit that you have. If you have a lot of credit accounts, even if you pay on time each month, it can work against you, because it could make it look like you’re overextended. Having no credit accounts at all can also work against you because creditors have nothing to go on when they’re trying to decide whether not they can trust you. It’s kind of like applying for a job with no experience on your resume. · The number of credit applications you have submitted. Submitting a lot of applications for credit, even if you are successful, can be just as damaging as having a lot of credit accounts. It makes you look overextended. Having a lot of unsuccessful applications is also damaging because lenders are less likely to extend credit if other lenders don’t trust you. · Your employment history. Having a history of frequent job changes can put a negative mark on your credit. On the other hand, if you have been employed by the same company for several years, that’s going to look more favorable. · Whether or not you had any bankruptcies, have gone to collections, or had any judgments against you. These are just some of a few of the factors that contribute to your credit rating. They are all taken into account, but they also have different weight. For example, a prior bankruptcy will have more weight than a spotless payment history. However, having no bankruptcies, and a spotless payment history could outweigh having a lot of credit accounts. Now that you understand what a credit rating is, and how it’s calculated, let’s look at why it’s so important. Why Your Credit Rating is Important. · Whether or not you get the Apartment you want. Landlords will check your credit history as part of a standard background check. A bad credit history will signal to a landlord that you’re not financially responsible, reliable, and may prevent him from renting the apartment to you. · Whether or not you get the job you want. Employers check your credit history as well, as a means of determining how reliable you are. If you have a bad credit history they may consider you an unreliable employee and not give you the job. · Your insurance premiums. Car insurance companies look at your credit rating and use that to determine how much to charge you and your monthly premium. It could also determine whether not you get any discounts Or qualify for any special deals. A bad credit history could mean that you pay more in car insurance than your peers. However, even if you have a bad credit rating, there are ways in which you can improve. 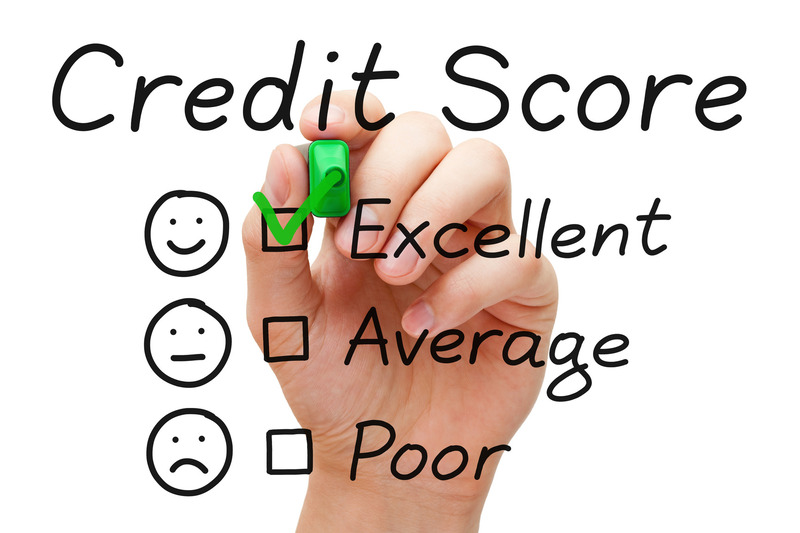 The first step to improving its credit rating is finding out your current rating and score. You can get this information from one or all of the three credit reporting agencies, such as Trans Union, Experian and Equifax. You could also get it from credit score tracking sites like Credit Karma. Once every 12 months, every person in United States is entitled to one free copy of their credit report from one or all of the three credit reporting agencies. It’s a good idea to get a copy every January to see how you did the previous year. The credit report will list all of your current creditors, your payment history, and any negative information that creditors have reported about you. It will also show you if creditors are reporting inaccurate information about you, such as loans that you don’t owe. It’s important to know what’s in your credit report so that you know what creditors see when they look you up. It’s also important to know because if there are errors you can have them corrected so that they no longer negatively affect your credit. If you have any bad entries in your credit report the next step is to Do what you need to do to correct those entries. If it’s a matter of slow pay or missed payments, then you need to get up-to-date on all of stay up-to-date. If you can pay off any or all of your accounts, then do so. If you’re not able to get caught up And need assistance, or if you have bad entries on your credit report, then you should list the aid of a credit counseling or credit repair company to help you clean up your. You can find assistance from state and locally funded agencies and from privately-owned agencies. if you decide to go with a private full-service agency, make sure you research the agency before you give them all of your private financial information. Review sites with testimonials are usually the way to go when it comes to comparing and contrasting credit repair companies. If you don’t have a credit history at all you can start building your credit history by getting a MasterCard or Visa, opening an overdraft account on your checking account, or even just opening a line of credit at your favorite clothing store. Just make sure that the line of credit you have is very small so that you can easily pay off the balance and that you can make the monthly payments on time. You can also build your credit by buying a car. However the downside to that is that cars tend do depreciate fairly quickly, so that you end up owing more than the car is actually worth within a matter of the year or two. However, if you need a car, that is a great way to build up your credit because car companies report to the credit agencies on a regular basis. Your credit rating is fluid; it fluctuates on a monthly basis. The sooner you get on top of it the easier it will be for you to stay on top of it. Right now it might not seem like a big deal, but if you wait until you’re ready to buy that house or need to get that dream job, it could be too late. Whether or not you have bad credit right now, you need to start taking care of it right now. Your credit rating might not matter at this moment, but you don’t want to get blindsided by a bad credit report when it does matter.